Looking For A Mobile Disco In London? If you are looking for mobile discos in London, JMF Disco will provide you with a good experienced party DJ and provide you with all the help you need to host a great party. JMF Disco will provide the perfect solution for your party entertainment, with a reliable, experienced, professional DJ hire service, providing all the help you need with planning the ‘formalities’ and providing you and your guests with a great party which will be the perfect ending to your special day using our Mobile Disco London service. As part of the personalised disco hire service offered, we will provide you with our special Party Planner Pack to help plan the evening and music just as you want. JMF Disco are often hired to provide the disco entertainment, if you fancy having a particular band at your function, usually playing before the band starts, during their set breaks and to finish off the evening with all your favourite party tunes by the original artists. We also allow the use of our disco effects lighting during the band sets, to enhance the party atmosphere. JMF Disco's mobile discos in London service will provide you with the entertainment you want for your dream celebration at any venue throughout the London Boroughs- why settle for anything less? If you are looking for mobile dj London, for any type of event, party, celebration or wedding get in contact with us today, and find out how we can help you with a great party. You may be planning your own retirement party or planning a special send off for a colleague and/or friend, arranging a truly special party can be difficult for this one time event, but JMF Disco are here to help. We will provide you with a good experienced DJ with a wide musical knowledge and huge library of music with most of the popular tunes throughout the decades, that knows how to get the party started, knows how to read a dancefloor, and will play all your favourite tunes to ensure your retirement party is one they will remember! A house-warming party is a party traditionally held soon after moving into a new residence. It is an occasion for the hosts to present their new home to their friends, post-moving, and for friends to give gifts to furnish the new home. House-warming parties are generally informal. JMF Disco can help add to the party atmoshere and keep your guests entertained. We like to provide our clients with that something extra - we provide you with what you want, need and deserve for your celebration - it is a special occasion and should be treated as such. Doing it right requires an experienced DJ with the right skills and resources that we will bring to your celebration by using our Mobile Disco London service. JMF Disco will provide you with all the support you need to organise your special day, including providing you with a custom Party Planner to help organise your special day and the music you want to hear to help make your evening unforgettable. Contact John on Tel 01795 429777, Mobile 07895 546183 or by email to discuss your Mobile Disco London service needs or questions. Looking for Mobile DJ hire in London for your landmark birthday party celebration? Maybe your 40th, 50th or 60th birthday? JMF Disco can provide you with a great mobile DJ for your party and all the help you need to host a great party playing all your favourite tunes from yesteryear or yesterday! 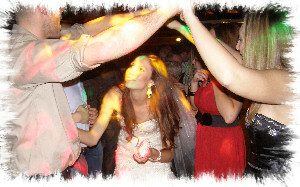 - I'm sure I can provide you with the mobile disco in London you really want!